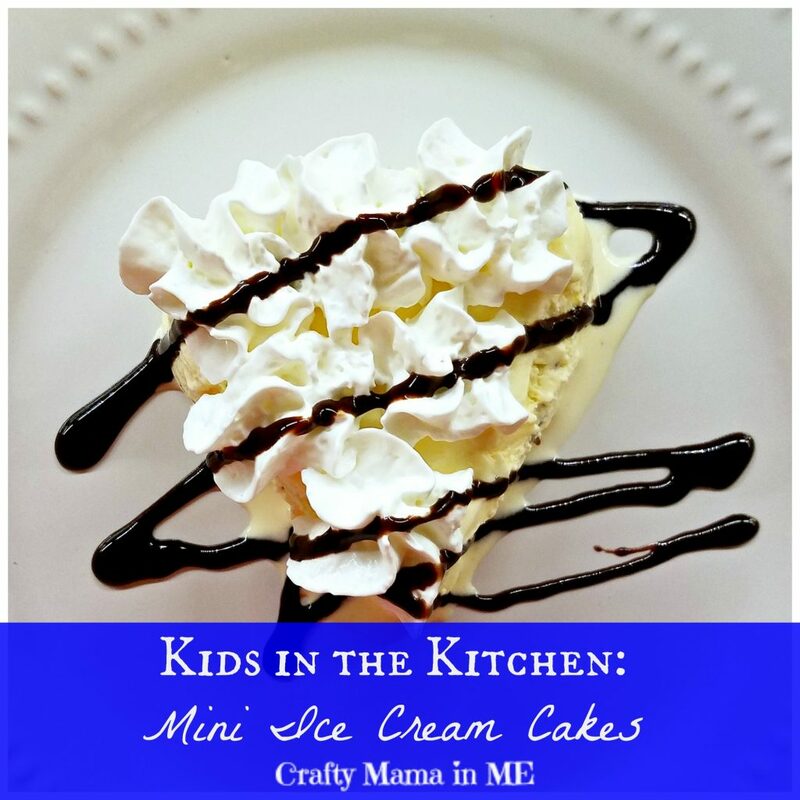 Kids in the Kitchen: Mini Ice Cream Cakes - Crafty Mama in ME! There isn’t much better in summer then ice cream (or any time of the year honestly!). 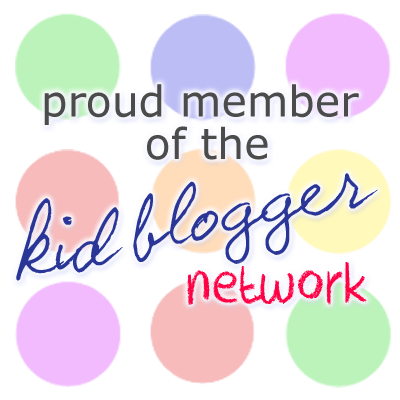 I LOVE ice cream and so do my kids. 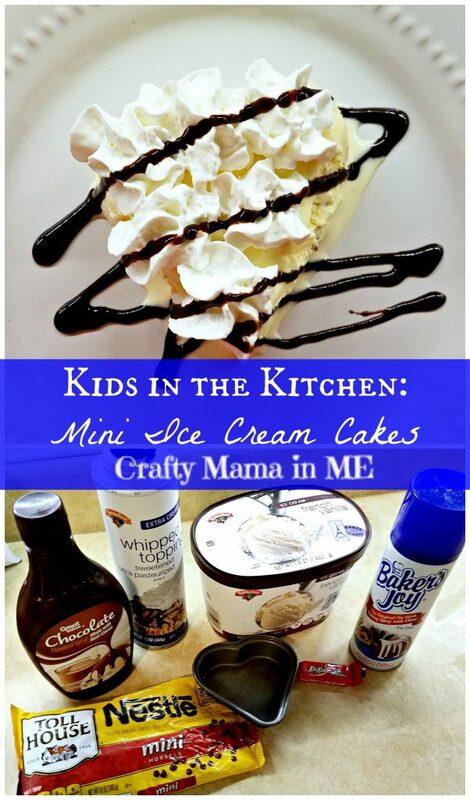 I decided to work with the kids to create mini ice cream cakes that they could personalize to their individual likings. Pick a small container – we used a heart shaped pan but you could use any small container even a muffin tin. Spray the container with baking spray. Scoop a thin layer of ice cream into the bottom layer of the container. 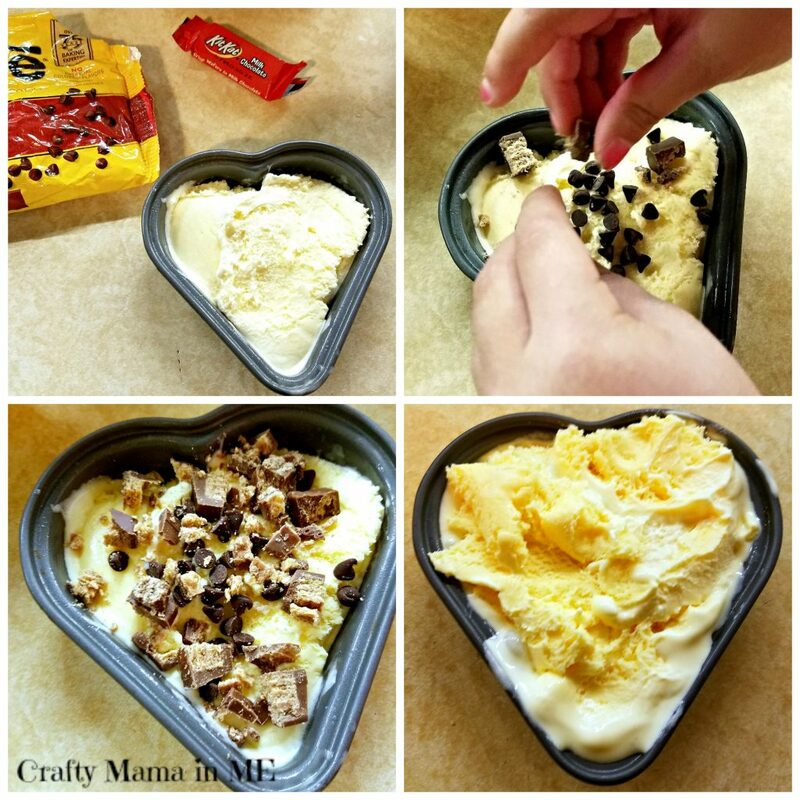 Sprinkle some chocolate chips and cut up Kit Kat (or any other candy) on top of the bottom layer of ice cream. Cover the candy with another layer of ice cream. Place the entire container into the freezer so it can refreeze. Allow the ice cream to remain in the freezer until it is fully frozen. 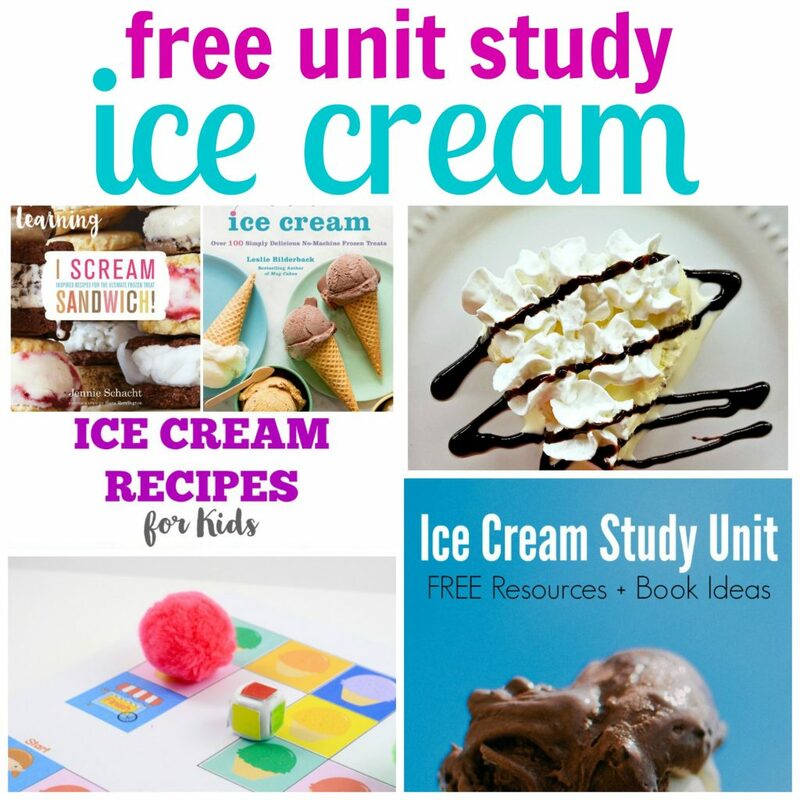 Run a knife around the edge of the container and release the mini ice cream cake onto a serving dish. Top the mini ice cream cake with whipped cream. Finish by garnishing with chocolate sauce.